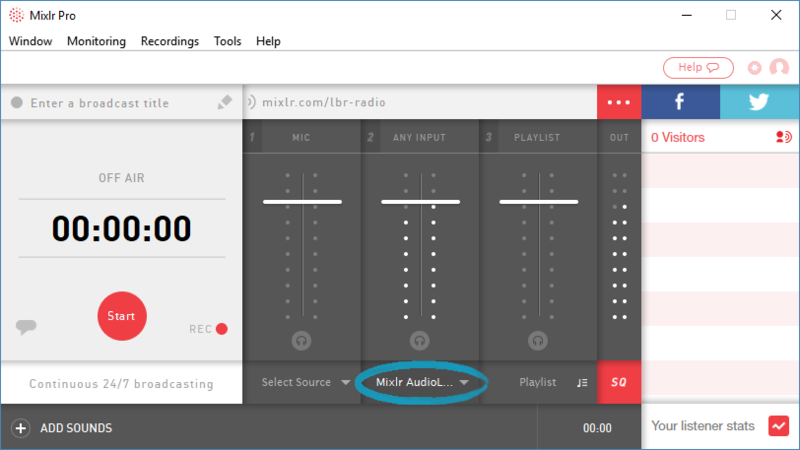 If you want to have callers to your Mixlr broadcast, or if you have a co-host that's based in another location, the best way to add them to your Mixlr broadcast is by connecting an online audio messaging application to Mixlr. You can do this using using Mixlr AudioLink, an audio device that is installed when you download Mixlr. 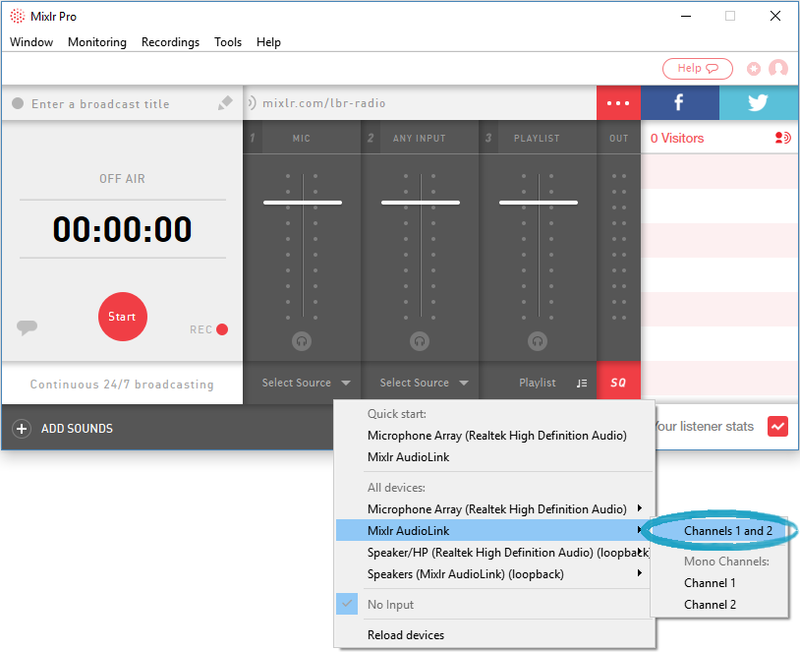 Firstly you will need to set the audio output on your messaging application to Mixlr AudioLink. You can usually find this option under Options or Preferences. This might not be referred to as the audio output in your application - it may also be labelled 'speakers', 'master output' or something else. If you haven't updated this before it will probably have your speakers currently selected here. 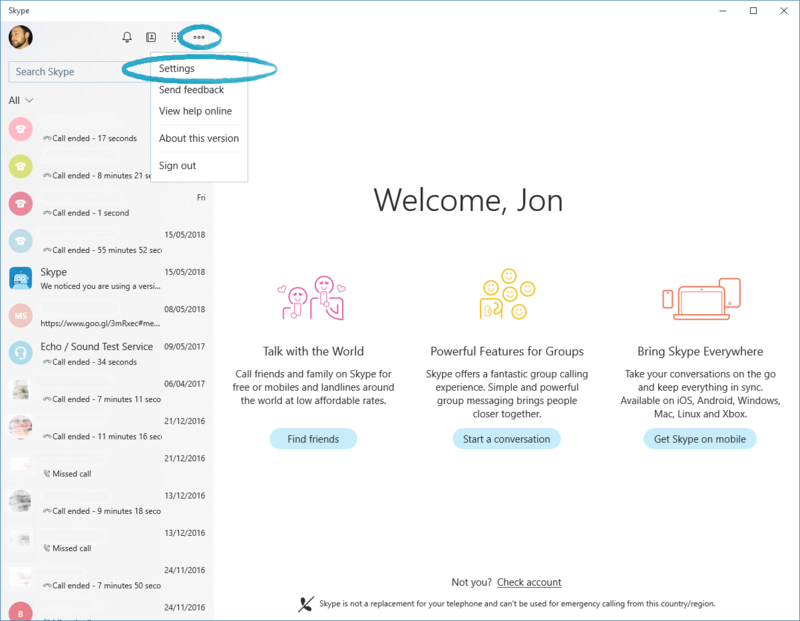 Locate this in your messaging application and change it to 'Speakers (Mixlr AudioLink)'. Next, open the Mixlr desktop app. Click the arrow by 'Select Source' for either channel 1 or channel 2 (the Mic and Any Input channels) to bring up the list of input options. If there is an audio signal being sent from your messaging application you'll see the visual display indicators for the channel lighting up - these are the white lights showing up in the image above. 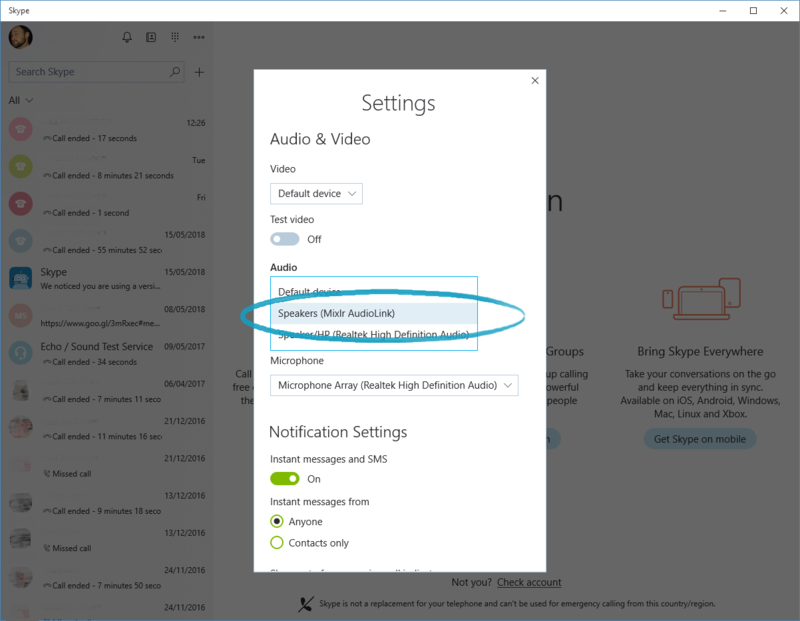 Because you have set the audio output in your messaging application to Mixlr AudioLink you won't be able to hear your caller through your headphones or speakers. In order to hear your caller you will need to activate monitoring. See this article for how to activate monitoring.